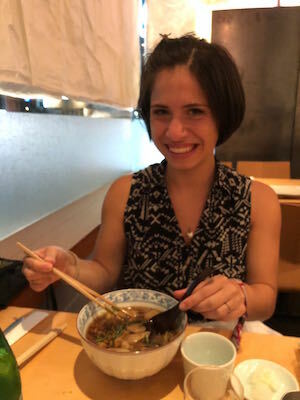 Before starting the main part of my gap experience in Puerto Rico, I got an amazing opportunity to travel to Japan (this would not have been possible if I hadn’t had the time off for my already planned gap!) Earlier in the summer I was lucky to be on an expense paid for conference in South Korea, which is a cheap flight away from Japan (a country I have always dreamed of visiting). I feel very privileged to have spent the two weeks I did backpacking the country with my favorite travel partner, my mom! Now you might think since I’m traveling with an established working adult we’d be staying in nice hotels, taking taxi’s, etc. WRONG. When we travel together it’s on a tight budget you’d expect students to be on. It may take more time and energy; but it allows us to make these kind of dream trips come true. During my time in Japan I visited the cities Tokyo, Kyoto, and Osaka. While traveling between cities I was also able to make some scenic stops in the country side. The video I made includes just some of the trip highlights! This is the first time I’ve ever made a travel vlog, and it’s been a major learning process. There are so many things I wish I had footage of (beautiful temples I forgot to take footage of as I was in awe, the crammed trains, strangers turned friends, amazing food, eccentric outfits, bustling markets, refreshing bath houses, etc). I look forward to refining my movie making skills in the future. To give more context I’ll attach some photos and anecdotes as well. I started in Tokyo, where I spent the first few days. What stood out to me the most about the city was the deep contrast between the hustle and bustle of being the most populous metropolitan area in the world and a major business hub, while still maintaining a sense of great organization and peace. It’s easy to forget you’re surrounded by sky scrapers while you sip tea in historical gardens. My mom and I spent our days visiting different museums and landmarks, but evenings with my cousin and his wife who showed us around the city! I have family in several different countries and have made it a goal to visit them all! There’s nothing like getting to experience a new place but with love and hospitality of family. My cousin was born and raised in the Chicago suburbs like I was, but has lived in Japan the past 15 years. Spending time with him and his wife was a blast as they showed us their favorite spots and taught me a lot about the city. 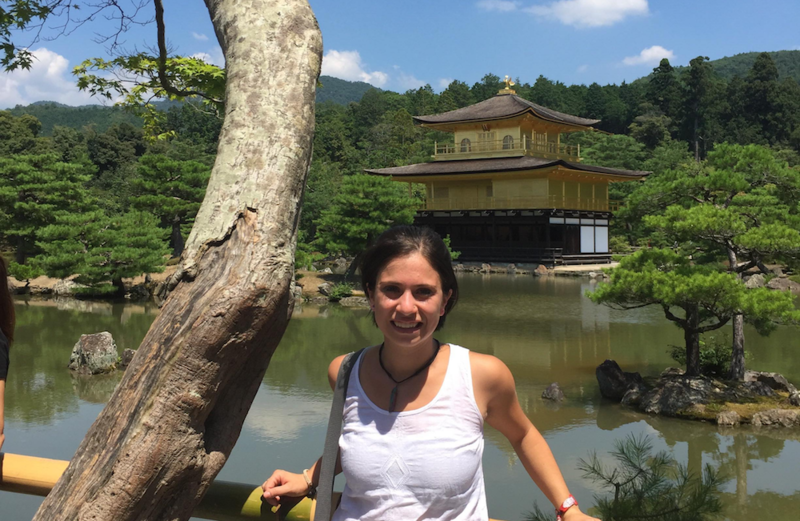 After five days in Tokyo, my mother and I got on a bus that took us to Kyoto and included a few fun stops along the way (including breath taking mountains, historic villages, magnificent lakes, and serene gardens). Before this I hadn’t realized how green and mountainous Japan was. It felt refreshing to step away from the city and into the calming landscapes of rural Japan. We arrived to Kyoto the night before the renowned Gion Matsuri Festival. This is a festival celebrated in the month of July in Kyoto. It started in the year 970, to honor the gods to prevent natural disasters that are common in Japan. This was exciting because in addition to the many temples, shrines, and bamboo forest that make the city special, we were treated to the seasonal festivities. 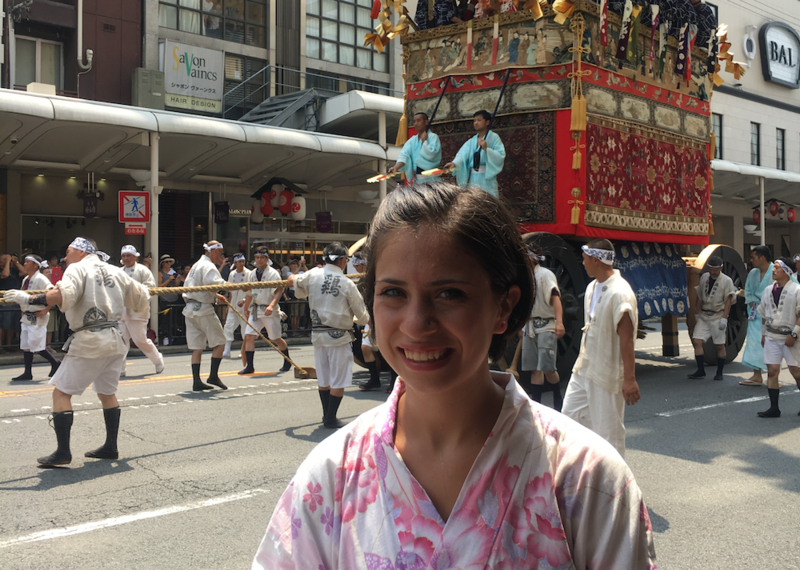 The streets were filled with different performances, parades, and shrines. It was special to see how the community came together for this special holiday. Japan has ties to both Buddhism and the Shintoism. Outside of the festivals I visited sacred spaces for both religions and even attended lecture and meditation of Zen Buddhism. 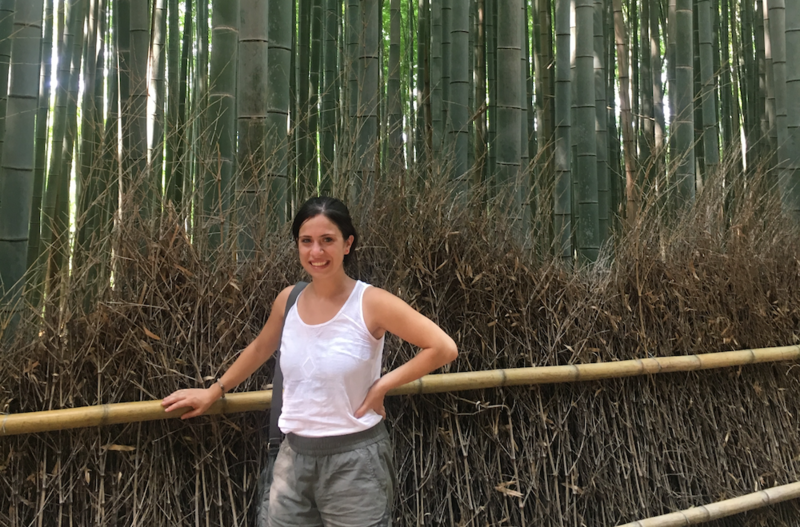 I also spent some time in a beautiful Bamboo forest. Before flying back to the U.S we had a final stop in Osaka, the second largest city in japan. I only had a day and half there but I felt like I made the most out of by renting bikes which allowed me to see more than I would have normally. Osaka had a similar urban feel to Tokyo, but is a lot smaller so it felt a lot less crowded. I also go to participate in of my favorite things to do when I travel, attending a local couch surfer meet up! Although couch surfer is most famous for connecting travelers to hosts, the website also allows for locals and travelers to organize meetups that are open for all to attend. I’ve gone to various meetups around the world and love that almost anywhere you go there is a friendly community looking to connect and make friends. At this meet up I meetup with locals and travelers at a popular ramen restaurant I wouldn’t have known about otherwise. I like to view traveling while being vegan as a fun challenge. It’s fun to see what veg communities in other places are like and it feels good to support them. Eating out in Japan wasn’t always easy as fish is staple of the diet, often seen as a separate category from other meats. So although I was slightly limited, the food I did eat was amazing. I found great vegan ramen and udon, and even tried a few macrobiotic dishes which I hadn’t heard of before going to Japan. It’s a diet the originated there and is based off Zen Buddhism. Thinking about it now makes me miss the delicious, healthy, and fresh food. Something I connected to the Japanese over was their great appreciation for tea. I sat in on a tea ceremony which was a unique experience for me. The way the tea was prepared and honored was meditative. Tea is the center of an act of hospitality and art. In Japan, I frequently served tea with meals. The normal tea there seemed to be green tea, but I got to try Matcha for the first time which I’m now hooked on. It stood out to me was how tight the city felt compared to other cities I’ve been to. Tokyo is not a cheap place to live and this is evident when you walk into stores and hotels. Spaces are organized in ways that utilize every available inch. Lots of different images and bright colors so close to each other often left me feeling almost overstimulated. Something that surprised me was how elegant and simple a lot of the everyday fashion was. I think I subconsciously was expecting to see the youthful colors and accessories often associated with Harajuku (which I did see in that neighborhood, I even bought a rainbow unicorn onesie!!). Overall I saw a lot of neutral and simple fashion. I found the contrast from a style somewhat serious to so playful interesting. Never did I see anyone wearing t-shirts or gym clothes in the streets either which is not out of the ordinary in the U.S. Although my time in Japan was short, the trip was an eye-opening experience to a beautiful country and culture. I look forward to returning one day. This entry was posted in blog, Traveler Stories and tagged Jubilee Beladi-Vazquez. Bookmark the permalink.